The holiday season is filled with family gatherings, dinner parties, get-togethers, and events. When reuniting with loved ones or celebrating with old friends, make sure you look your best and stand out at every event during the holidays with eye-catching accessories. 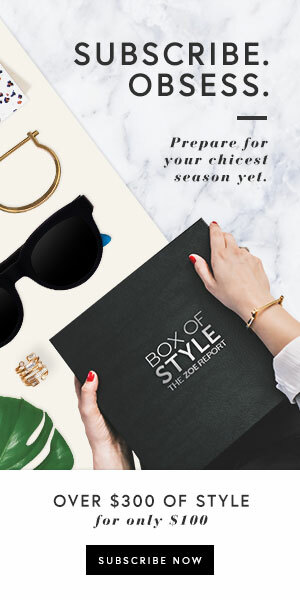 Fetch Eyewear has the solution for elevating your style with their new line of Fetch Frames, perfect for transitioning your look from holiday brunch to a midnight toast. Glasses are an ideal, face-framing way to put the finishing touch on a holiday outfit. New frames are also a great way to test out the latest fashion. 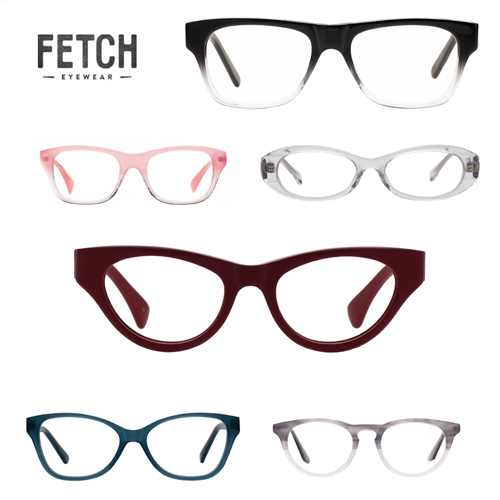 Fetch Eyewear has the on-trend colors and shapes that are perfect for trying on this season’s hottest styles. 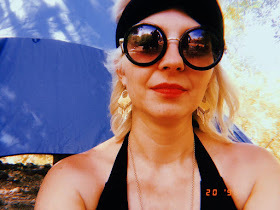 Vintage fashion is everywhere this fall and retro-style glasses can quickly change the feel of an outfit, allowing wearers take the mod trend and make it their own. The key to making vintage eyewear feel fashion forward is to choose frames in a streamlined shape or bright color. Try a frame with a slight cat-eye, such as the Margot in dusk or the Pepper in cranberry for a modern day Mad Men appeal. When it comes to glasses, you might need a few pairs to match every mood or outfit in your closet. Try this season’s Fetch Frames guilt free; 100% of the profits from each purchase directly support animal rescue and adoption efforts. With reading, prescription, and sunglasses for both men and women, find your fit by searching Fetch Frames by skin tone, face shape, eye color, and hair color. Choosing the right shape and shade can help to create a new look and debut a new you during the winter season. Fetch is a small company with a big vision. We believe buying things you need should support the things you love. Modern philanthropy is no longer just a check in the mail followed by a tote bag that is never used. Today altruists can effect change by thoughtfully considering the items they bring into their lives and choosing those that give back. Fetch Eyewear has pledged to donate all profits to the Pixie Project to improve animal welfare through rescue, veterinary care and education. We are extremely fortunate to do what we do and sincerely appreciate the support of those who wear Fetch Frames and share our vision. What a wonderfully stylish company with a great big heart! To score a fabulous pair of specs and to contribute to this great project, get yourself a pair of Fetch eye glasses! To entice you a little more, Fetch is offering the lovely readers of my blog a nice little discount! One thing to note is that the code is only valid for final purchases, not home try on. So while you'll see the $125 holding fee on your account for home try-ons, if you make a final purchase the 15% discount will apply. Also, the code is case-sensitive. Happy Friday! Hope you had a lovely Thanksgiving! Definitely check them out, they have the most adorable styles. You may recognize them as they used to be called Amy Sacks. Let me know what you think!